Liverpool legend Luis Garcia has lavished praise upon Reds attacker Philippe Coutinho, describing him as a player who possesses creative qualities that are unrivalled in the Premier League. 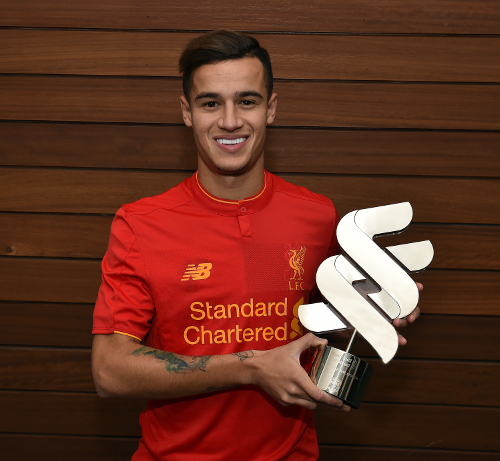 The Brazilian's eye-catching displays during October were recognised today as he was named the Standard Chartered Player of the Month after claiming the most votes from fans in our online poll. 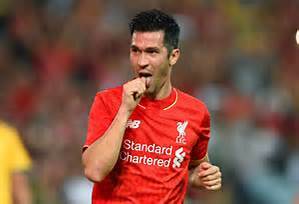 And Garcia is delighted with the form of the man who wears the No.10 shirt he once donned on a regular basis at Anfield. In fact, the Spaniard is in full agreement with Dejan Lovren, who recently insisted that his attacking colleague is one of the best players in the country at the moment. 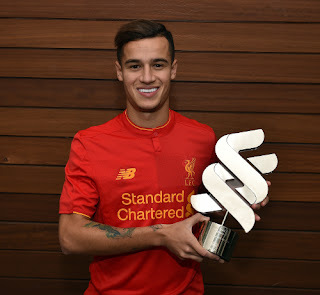 Garcia said: "He is one of the most exciting players to watch – he can make something from nothing and that's something that you don't see very often in the Premier League," Garcia told Liverpoolfc.com at the LFC World event in Singapore. "To have these kinds of players in England is very important for the league, it's one of the best leagues in the world and it will continue to be with this type of player." It is not just Coutinho who has caught Luis' eye, either. The other forwards who form part of an attack that, along with Manchester City, has blasted a league-leading 24 goals this season were also hailed by the former midfielder. "They are doing an amazing job," he commented. "It's weird not to see them score two or three goals every game. I think also for the supporters it's important to see a team that goes forward, is attacking and plays attractive football. "The most important thing is the goals that the team are scoring; it was a lack of goals in the last few years that the team needed to improve on. "Hopefully they can continue and we can see more of this football." The former Spain international went on to wax lyrical about an impressive start to the campaign that has seen the Reds suffer defeat just once. "I think we are not surprised because we were expecting something very good but maybe not as good as the team is looking right now," he added. "I think the manager has done an unbelievable job since the very beginning, the players have fitted very well together, and the new players are doing fantastic work. "The results are arriving and so the important thing now is to continue in the same way and [show] the consistency that is needed to win the Premier League. "To be at the top during the whole season is what's most important now and the team is looking good."